Bright, vivid colors rooted in cultural heritage. With its silky luster and bright colors, Bemberg is also used to make traditional costumes. Its popularity rests on its reliable quality, gliding smooth textures, bright colors, and fresh comfort in any climate. Bemberg has integrated itself into the culture of countries around the world, bringing beauty to people's lives for many years. Bemberg quickly absorbs and releases moisture through very small waterways that are invisible to the naked eye.It keeps the wearer cool, fresh and comfortable. 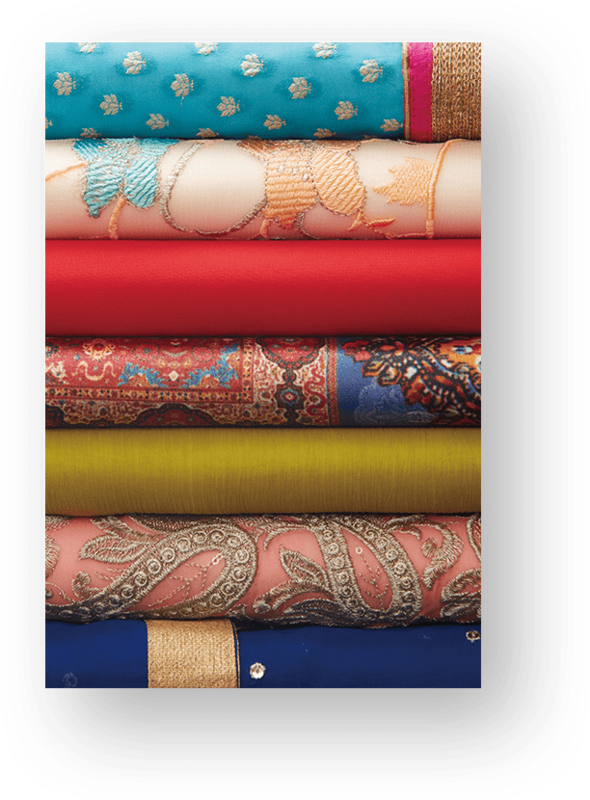 Bemberg’s beautiful luster and rich dye colors add to the diverse appearance of the fabrics. 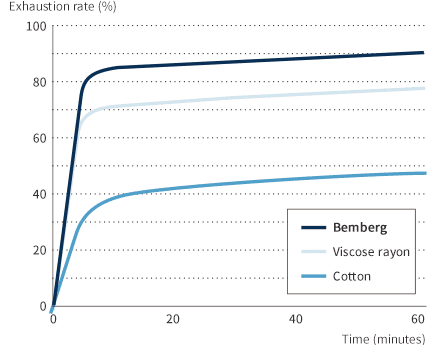 Bemberg fibers have many extremely small waterways and non-crystalline regions, making them quick to absorb dye. 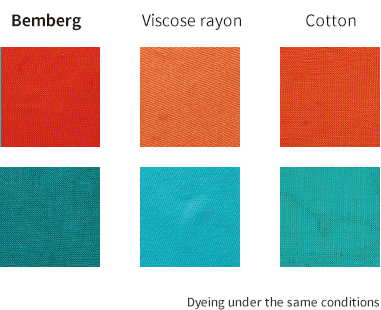 Bemberg fabric can therefore be dyed a deep color in a short space of time. Asahi Kasei continues to take a range of initiatives in India, where Bemberg is used as a material for traditional wear.